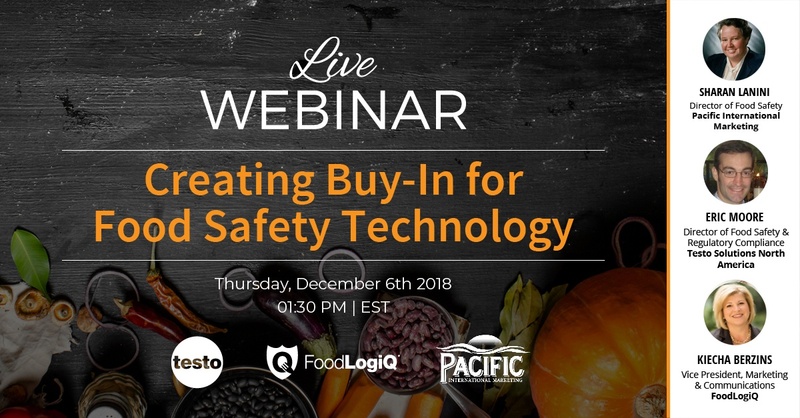 Join us on Thursday, December 6th, 2018 at 1:30 pm ET for a live webinar when FoodLogiQ will talk with Sharan Lanini, Director of Food Safety at Pacific International Marketing, and Eric Moore, Director of Food Safety & Regulatory Compliance at Testo, about creating buy-in for food safety technology. 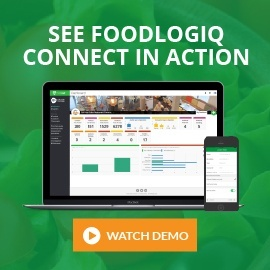 Supply chain processes have changed dramatically over the last 20 years, including mounting food safety regulations that are now a source of worry and anxiety throughout our industry. 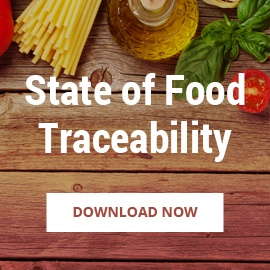 Manual processes will barely suffice meeting FSMA regulations or provide the support needed if a brand is faced with a food safety issue. 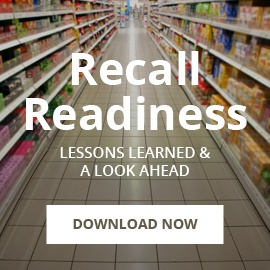 If the phrase "legal risk" doesn't get your C-Suite's attention, then the $10 million price tag of an average recall should. 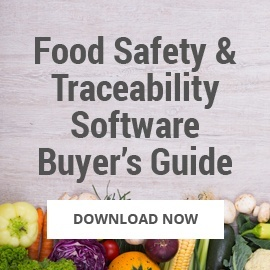 Investing and changing processes will not only make you FSMA compliant now, but will save you time and money in the future. 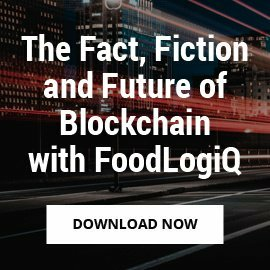 By modernizing its supply chain, your company will support its marketing claims and demonstrate to consumers that you are working with vetted suppliers who are aligned with your company's values. 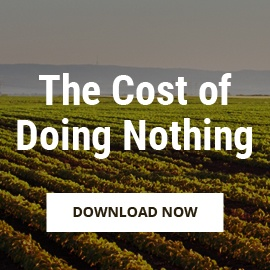 How to best present technology tools to the C-Suite to gain their interest and buy-in.